just 15 miles from the heart of Downtown Denver! *Restrictions apply, must lease or move in April. Contact the leasing office for more information. 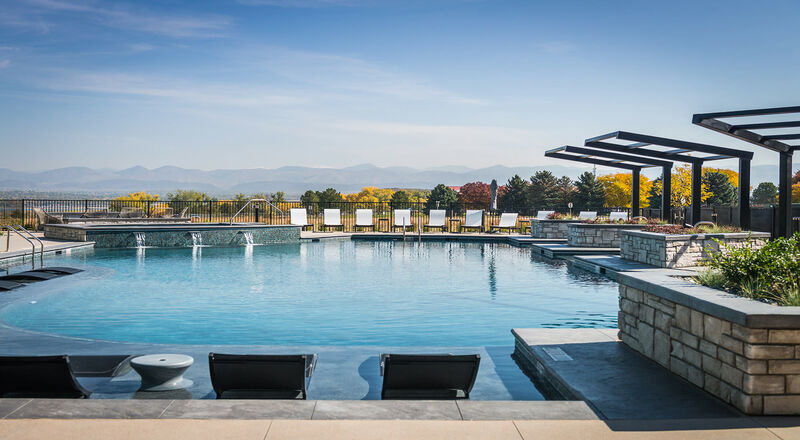 With uninterrupted Front Range views, stunning forward thinking design, and luxury amenities worthy of your favorite vacation retreat, Solana Lucent Station Apartments in Highlands Ranch is your passport to exceptional living. Effortless access to C-470, C-470 Bikeway, and major thoroughfares makes downtown Denver and mountain getaways equally convenient. Vibrant community amenities such as the 14’ indoor fireplace in our resident lounge, saltwater pool with Baja shelf, golf simulator, indoor/outdoor kitchen with pizza oven, multiple Electric Vehicle charging stations, and fitness center with yoga and spin studio distinguish our LEED Silver apartment community in Highlands Ranch as a nexus of sophistication and outdoor splendor. 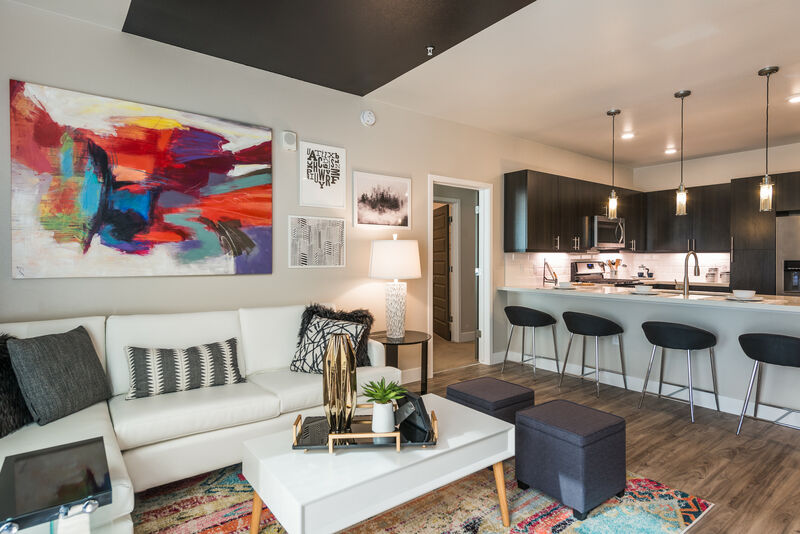 Stylish interior features throughout the one-, two-, and three-bedroom floor plans provide the luxe living experience you deserve. Exercise your culinary talents in the open kitchens equipped with stainless steel appliances including an upscale gas range, quartz countertops, designer tile backsplash and pendant lighting, and, in select homes, large kitchen islands. 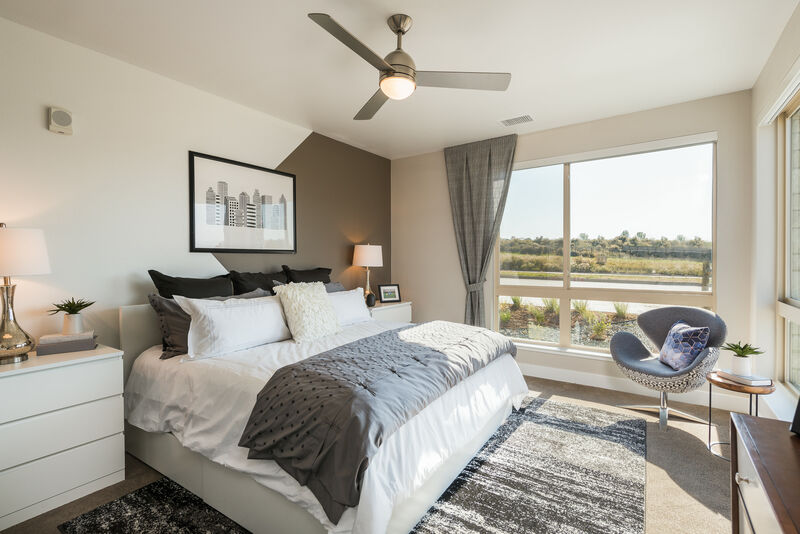 Fresh details throughout every apartment, such as modern flooring, relaxing garden tubs, and custom oversized windows with custom European roller-shades throughout, ensure exceptional living. Discover how Solana Lucent Station appeals to your sophisticated style! Claim your perfect space at Solana Lucent Station. Our smoke-free, lavish one, two, and three bedroom pet-friendly apartments for rent in Highlands Ranch, CO, feature modern design and a polished aesthetic. Oversized custom windows let the mountain sunshine suffuse your space with light, while 9’ ceilings mimic the magnificent heights of Front Range and Pikes Peak. Hardwood-style floors, quartz countertops, and contemporary finishes and fixtures lend richness and texture to clean and sophisticated design. Walk-in closets along with available attached and detached garages keep life’s accoutrement in place. Select garages include built-in Electric Vehicle charging stations for your convenience. 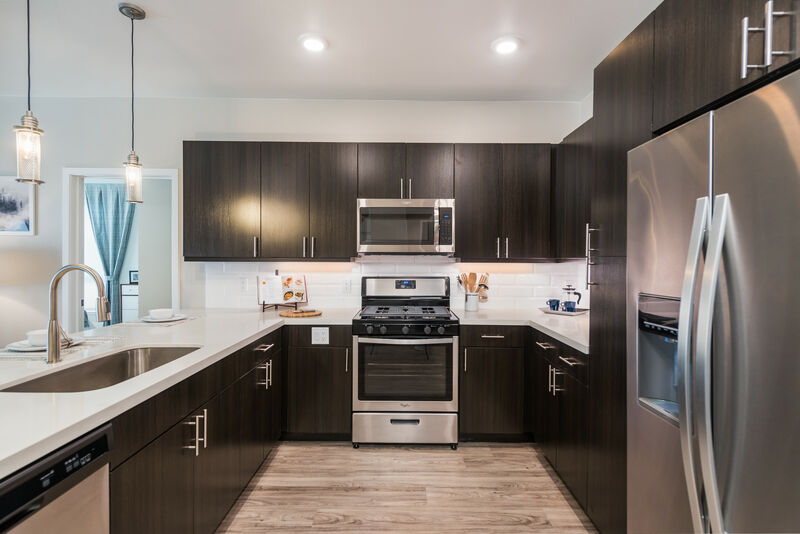 Elevated living is built into our apartment homes, with showcase kitchens complete with polished stainless-steel appliances, sleek quartz countertops, and designer back splash. Ignite your passion for gourmet cuisine with an upscale gas range. Find your inspiration at Solana Lucent Station. 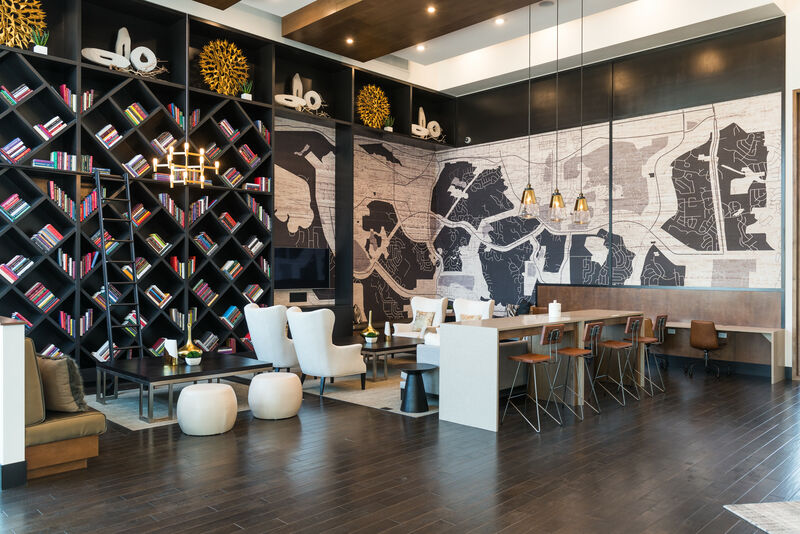 The stylish amenities at Solana Lucent Station will leave you wanting for nothing. Reminiscent of resort vacationing, our community is designed to help you refresh and rejuvenate, with a saltwater swimming pool with Baja shelf, shaded cabanas, and a stylish resident lounge with 14’ indoor fireplace. Pursue your personal fitness goals in our fully-equipped fitness center, complete with yoga and spin studio and on-demand and in-person fitness classes. Fine-tune your skills and feel the thrill of the game with our widescreen HD golf, hockey, football, and baseball simulator. Vibrant entertaining meets fresh elegance at our indoor/outdoor demonstration kitchen with pizza oven. We take care of the everyday details that make a difference in your day. Each of our LEED Silver-rated buildings is equipped with electric vehicle charging station built into select garages for your sustainable convenience. Your beloved pup(s) will stay happy, healthy, and clean at the enclosed dog park and on-site dog wash. To promote the healthiest environment for our community, Solana Lucent Station is 100% smoke-free. Aspire to a life well lived every day at Solana Lucent Station luxury apartment homes. Highlands Ranch is an exquisite 22,000-acre master-planned community south of downtown Denver. 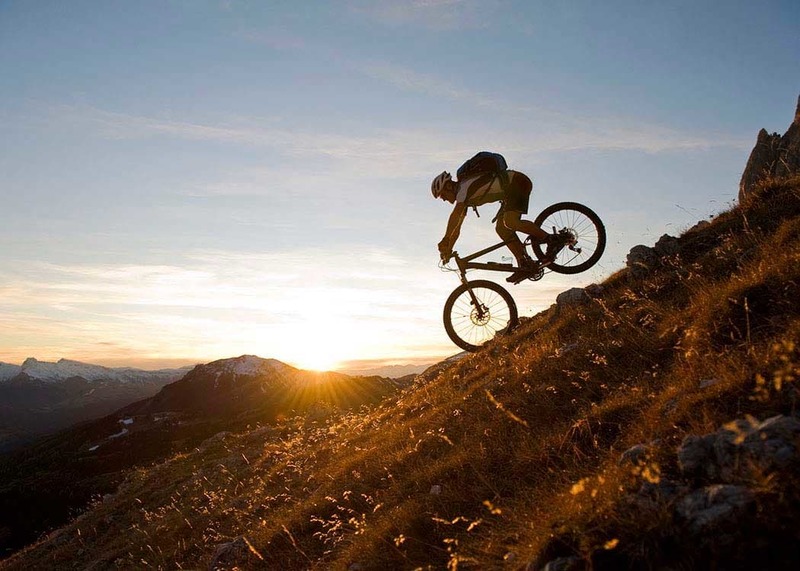 With stunning Front Range views, vibrant green parks, and abundant recreation opportunities, Highlands Ranch brings your daily experience to new heights. Solana Lucent Station is convenient to C-470, C-470 Bikeway, and future Lucent Station light rail, within easy reach of urban attractions to the north, and wild adventure to the west. Highlands Ranch is home to quality schools and an easy commute to several major employers, including Children’s Hospital Colorado, Skyridge Medical Center, Baxa Corporation, Charles Schwabb, and VISA. Play is as convenient as work, with Highlands Ranch Golf Course, Lebstack Tennis Center, and Chatfield Lake and Marina minutes from home. Discover the best in luxurious pet-friendly apartment living in Colorado. Contact an associate at Solana Lucent Station to arrange a private tour.